How can you maximize the efficacy of inline threat prevention tools without compromising network performance or overcomplicating your security stack? 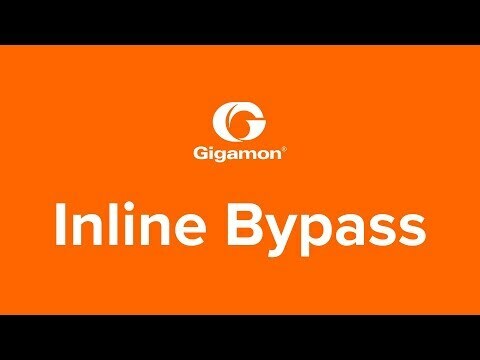 One way to maintain network performance and security is to deploy a Gigamon Inline Bypass Threat Prevention solution which acts as a fail-safe access port for inline security tools, such as web application firewall (WAF), intrusion prevention system (IPS), and advanced threat protection (APT) solutions. Keep up with growing network traffic volumes by improving the performance of inline security tools. Streamline operations so you can complete security functions in hours versus weeks. Eliminate single points of tool failure by creating a resiliency layer. Solve the problem of asymmetric routing by enabling resilient (dual path) network architectures. Inline bypass protection comes in two forms: logical and physical. Both operate on the principle that traffic must continue, even if you don't have the power to inspect it. A physical bypass switch provides users with the ability to physically forward packets in the event of a Gigamon visibility node power failure. It also allows you to perform maintenance and upgrade your tools without impacting network operation or downtime. Switching to protected mode occurs automatically and without software intervention upon the loss of power. Logical bypass happens in the event of inline tool failure and forwards traffic either to other tools or to the network. The system detects failure when the link with that tool breaks down, the inline tool stops responding or during loss of software control, thus enabling you to safely remove or upgrade an inline appliance, or even move it from one network segment to another, without disrupting the network. Learn the technical benefits of inline bypass and prevention, including negative heartbeat and IPFIX. Get better performance out of your existing security devices. Improve your security posture with inline bypass. Move tools from outlying detection mode to inline prevention mode—yet stay resilient. Imperva SecureSphere WAF appliances analyze all user access to business-critical web applications and protects them against cyberattacks. FireEye Network Security is an advanced threat protection and breach detection platform that provides industry leading threat visibility and protection against the world’s most sophisticated and damaging attacks. Cisco Firepower Next-Generation IPS (NGIPS) threat appliances combine superior visibility, embedded security intelligence, automated analysis, and industry-leading threat effectiveness. Get the most out of your visibility and security investments with free online learning. Investigate, hunt, detect and respond to threats. Decrypt and expose malware away from security tools.